Coukd you explain how a variable torque motor works and helps please Eddie. For those that haven’t seen the Denis Cimaf Head, what actual sharps can do, or see some great footage of how a VT Motor simply holds in longer and spins back up instantaneously, even on standard carrier machines, this is a great video. The simple fact is it’s not going to like ploughing in the ground or smashing the back out of Rhodie roots you’ve turned over. It is however the closest to having a chipper on the end as you’ll get. 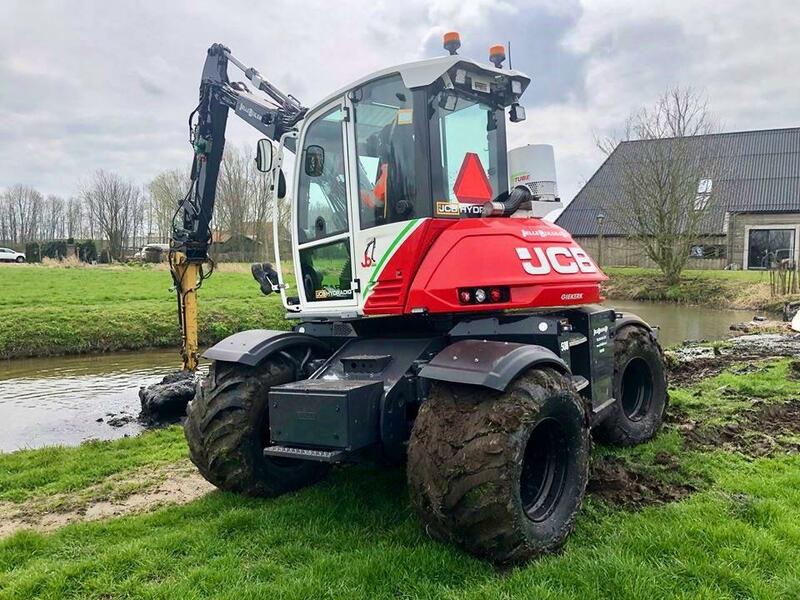 We figured, one of these in first to clear the way to just above ground, making a very easy job for a Tracked Skidsteer following which hate standing trees, would be a really productive team. The FAE, with sharps is as close as you can get whilst still able to do a reasonable amount of ground engagement for an all round machine. 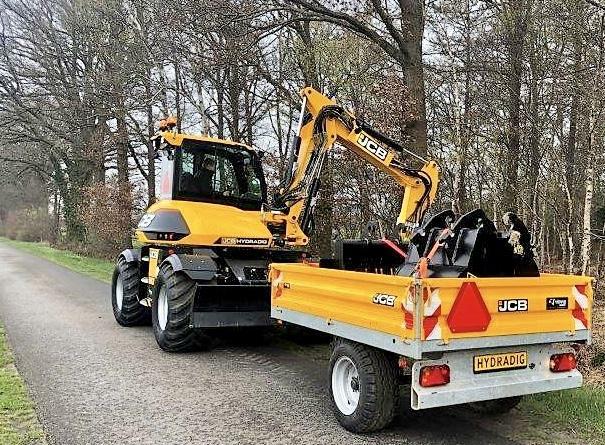 Some images of a superb JCB Hydradig setup and this really demonstrates the ridiculous situation we have in the UK at present, being one of the few markets that can’t legally tow a Trailer behind Wheeled Excavator. It’s a tiny piece of legislation that’s genuinely holding back progress. 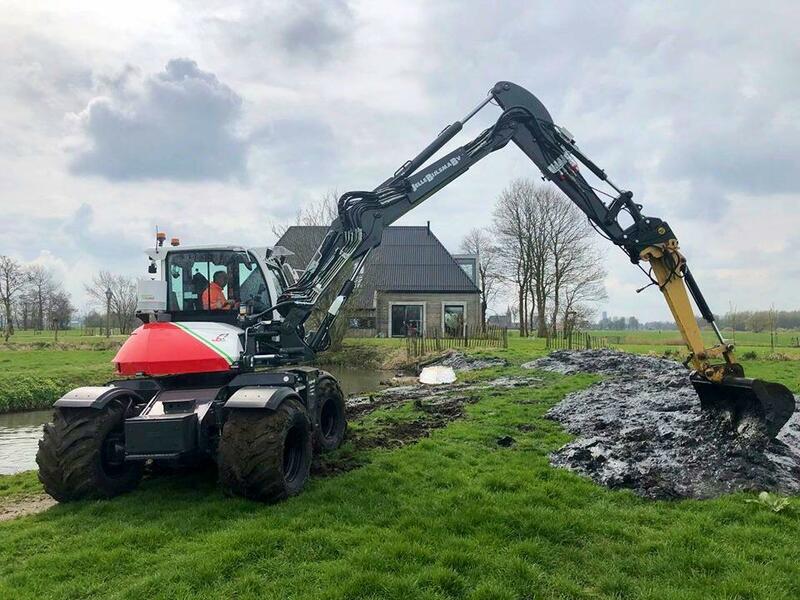 Full Tiltrotator equipped Wheeled Excavators are ultra versatile, and need their attachments with them. As for braking, couplings etc, it’s all there for other markets, tested and proven, ready to go. 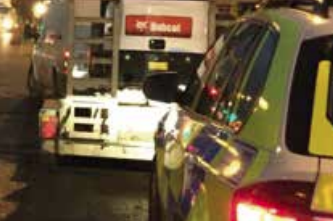 They should be allowed to carry attachments only, and materials whilst within the confines of a site or closure. 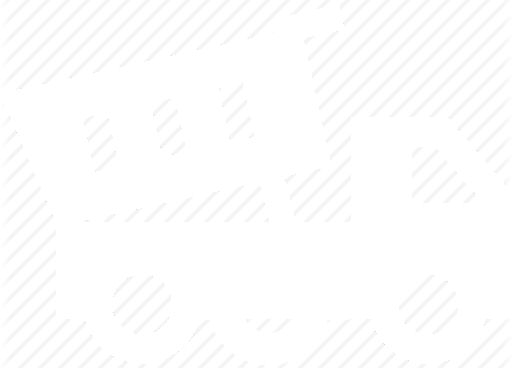 Towing fixed axle Plant like a Compressor or even Powered Chipper should be included, but not Plant on Trailers to keep things simple and prevent abuse. 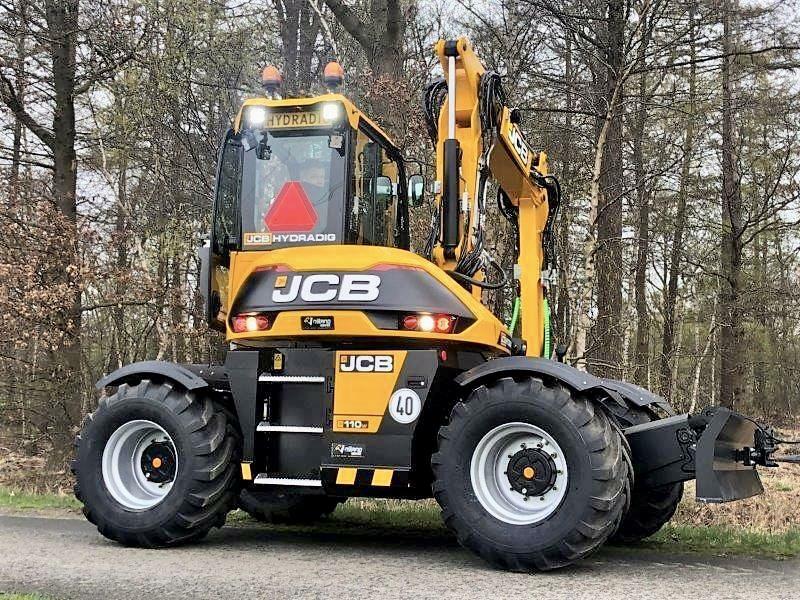 Hats off the JCB, they really did get the Hydradig right, first time, and such irony that the UK prevents the Hydradig being so simply maximally utilized with a trailer for the various attatchments. Plenty of room for improvement, but a great start. The real test will come at Bauma show next week, three years on from it’s launch. It’ll be interesting to see if anyone goes down the same route of everything down below construction on another Wheeled Excavator and takes it to them head on. What sort of oil flow did you manage to get through that EC oil setup Eddie? Back then you’d not get the full 100ltr/min through the Ec209 Unit by some margin to run a Mulcher underneath the unit, but further developments have meant if you specced it right and John worked a bit of his magic I’d expect it could be done now. 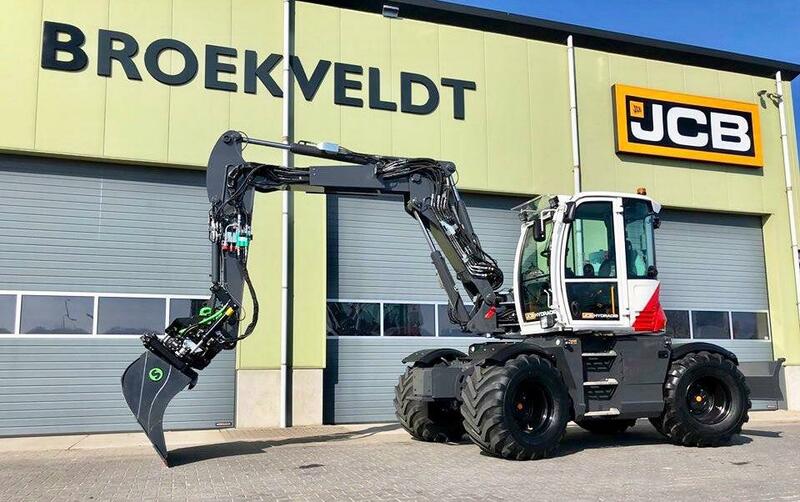 If you’re prepared to go Direct Mount only on an 8 tonner, you can go with the Ec214 for more flow through the Unit than you can possibly achieve with the machine at 140 plus ltr/min. 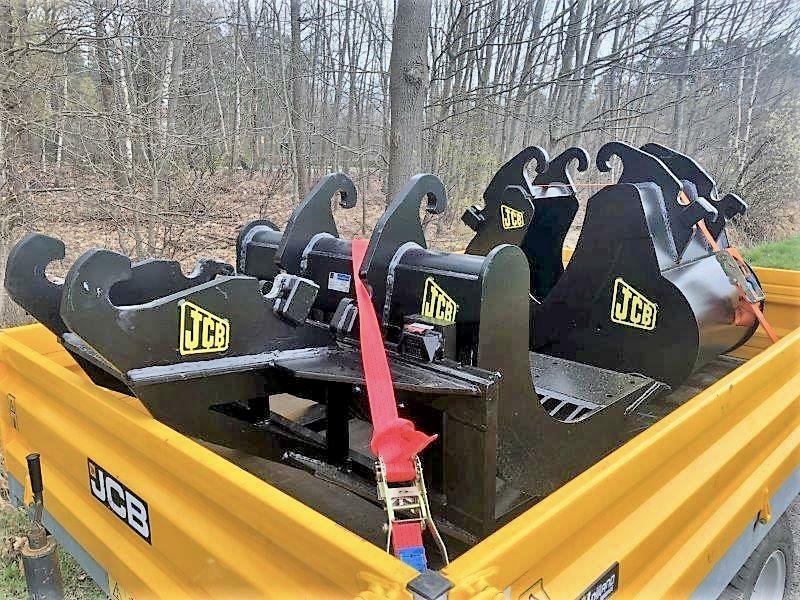 You offset having the bigger unit by not having a top quick hitch, and you’d be fine with some of the lighter Mulchers. The FAE there in 1.25m width would simply be too heavy under a unit on an 8 tonner. 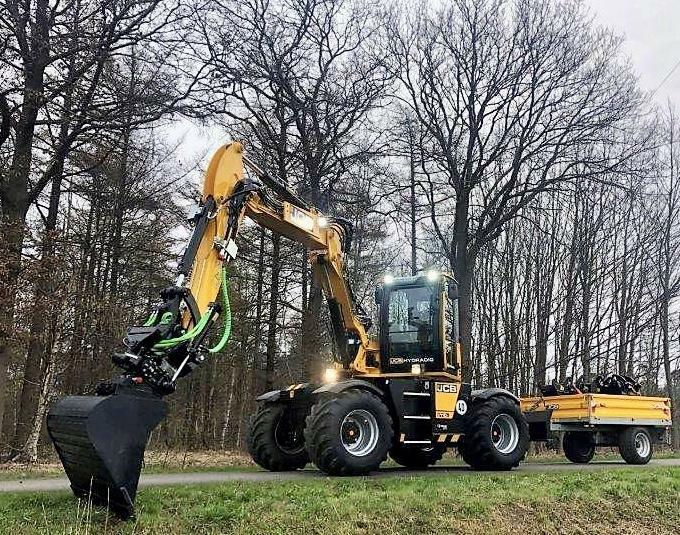 The latest generation of Engcon coming this year will finally have a circuit that bypasses the valve block and will give around 200 ltr/min through the Unit, which should finally be enough for almost any applications. Some still massively confuse flow with pressure, but basically flow gives you the speed and pressure gives you the power. 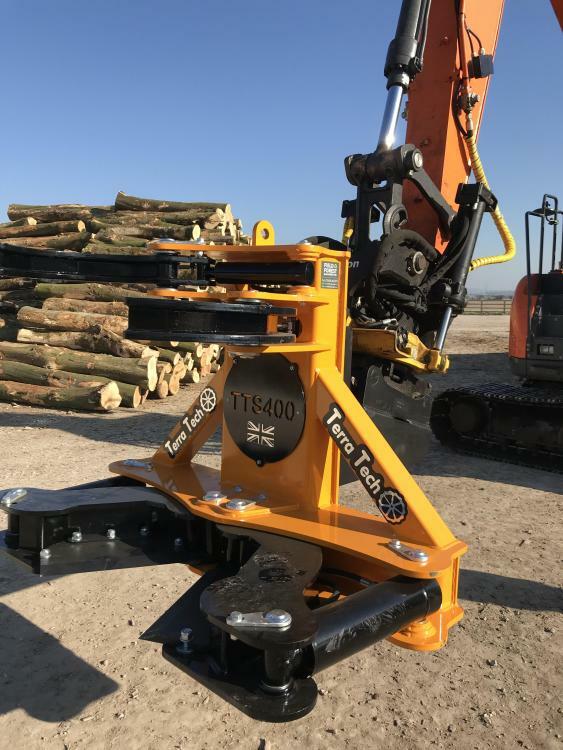 Guys who fit Shears to any machines under 8 tonne, get your Pressure checked and in many instances a small tweak is all that’s required up to the Shear suppliers recommended pressure for an incredible increase in cut capacity. Generally 8 tonne and up they’re pushing enough out. 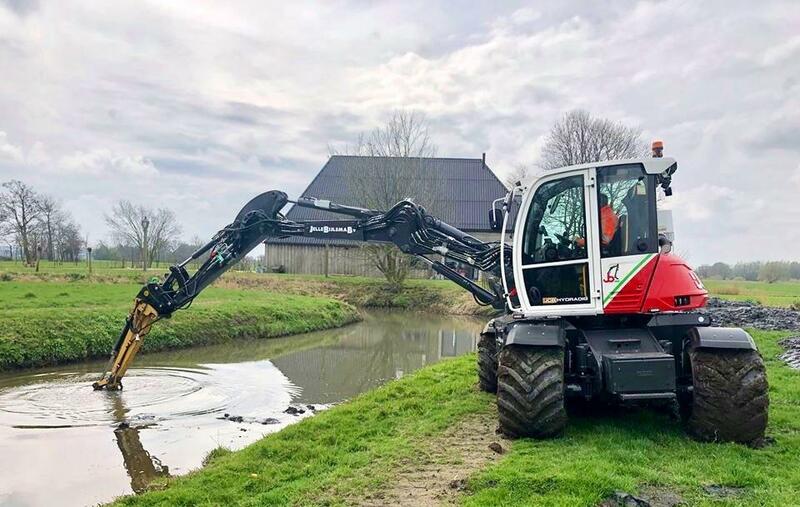 Lovely Hydradig showing off some impressive stability handling this Dipper Extension setup. Despite the floatation tyres it looks just soft enough where it’s working. Massive Arb machine potential in these, I’d love to do one full spec. I took a look over this getting its head bracket made/installed, these are going to be a game changer. Priced right, light and straightforward hold then big cut. It’s under an Engcon here but no need to be. Exactly what many are after to just stick on a Hired 13 tonner, hit them at the bottom and job done.